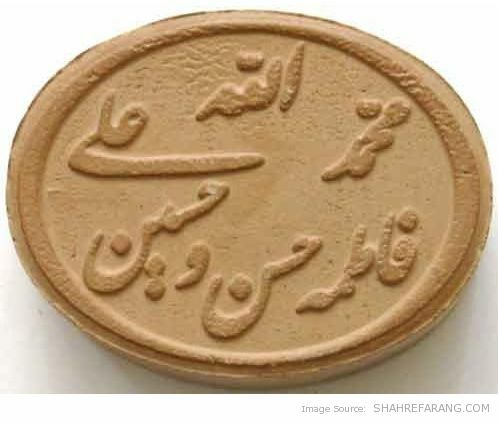 During their daily prayers, Shiite Muslims prostrates on a small block of earth, called “mohr” (meaning “stamp” in Persian) or “turbah”. 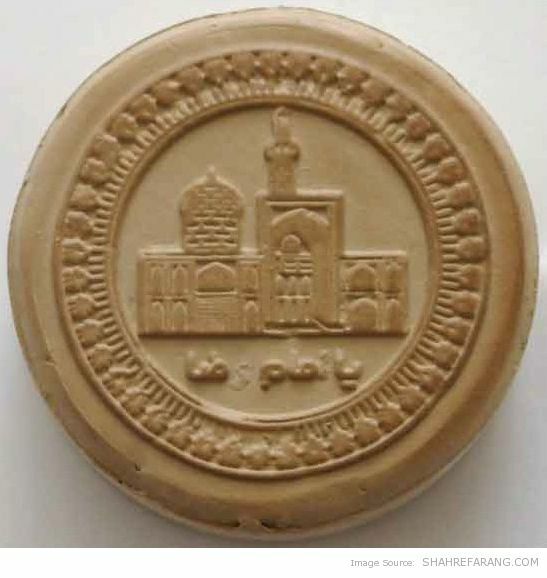 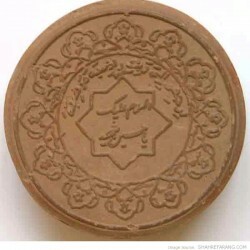 The most favoured soil is that of Karbala in Iraq, the site of the martyrdom of Imam Hussein; however, soil from Mashhad or Qom in Iran may also be used. 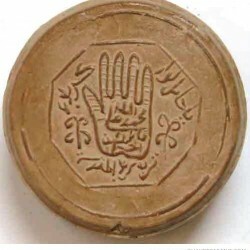 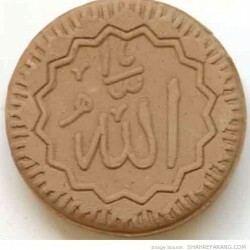 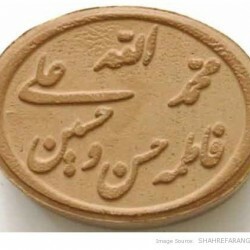 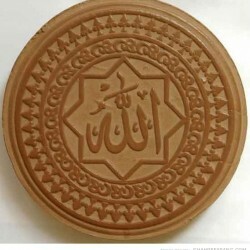 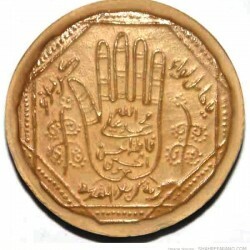 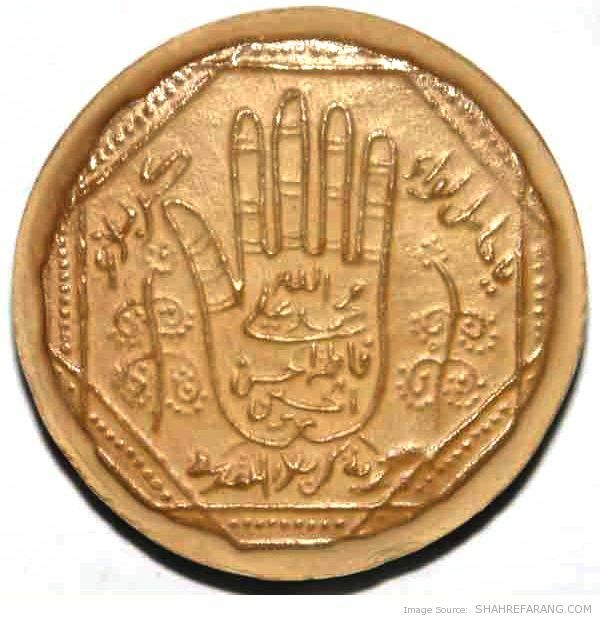 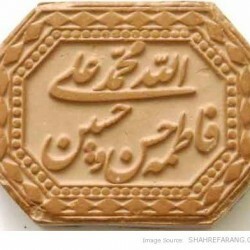 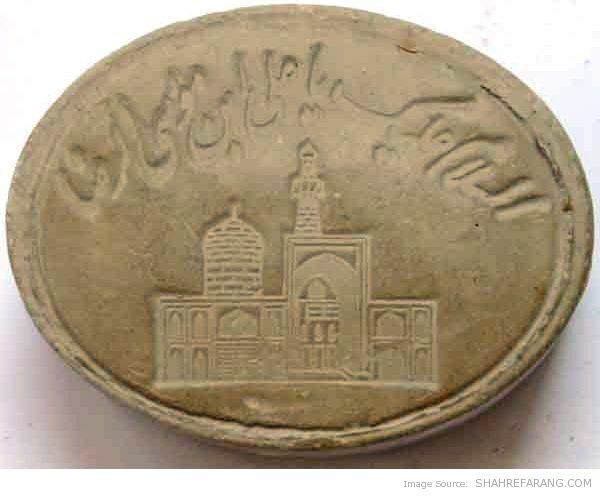 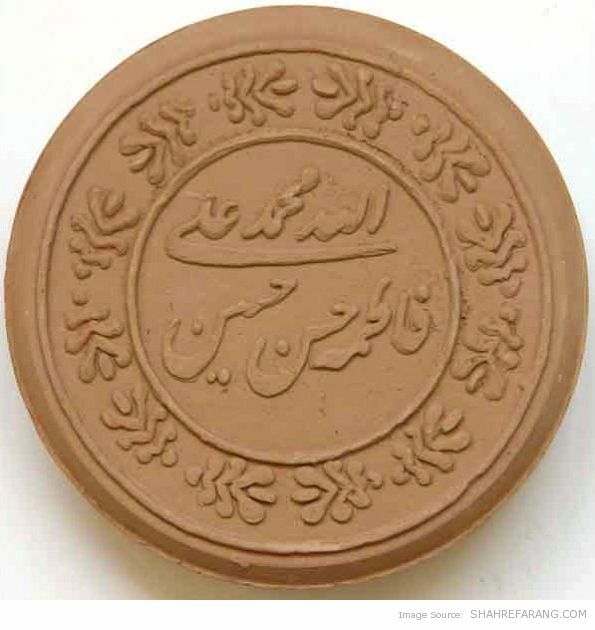 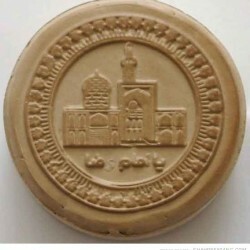 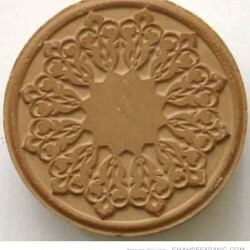 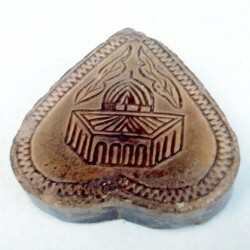 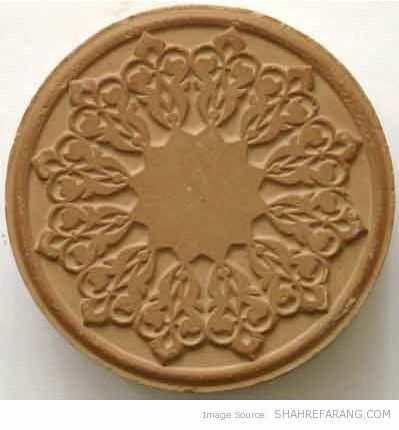 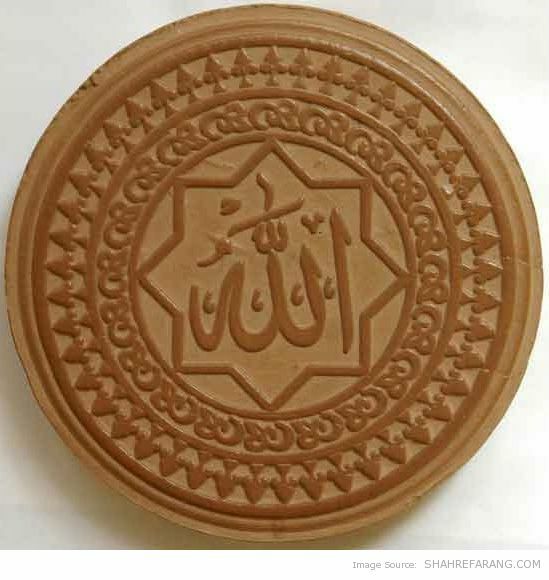 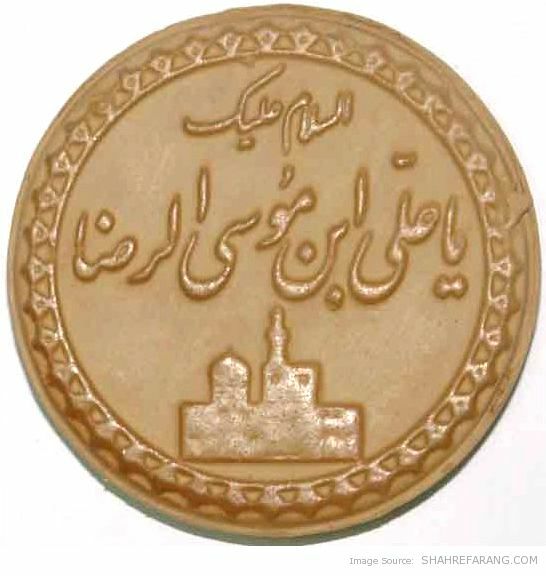 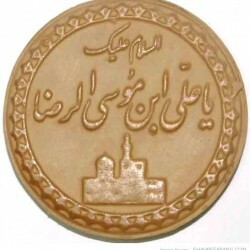 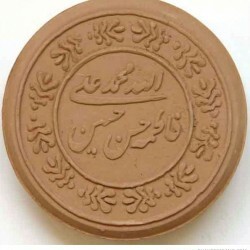 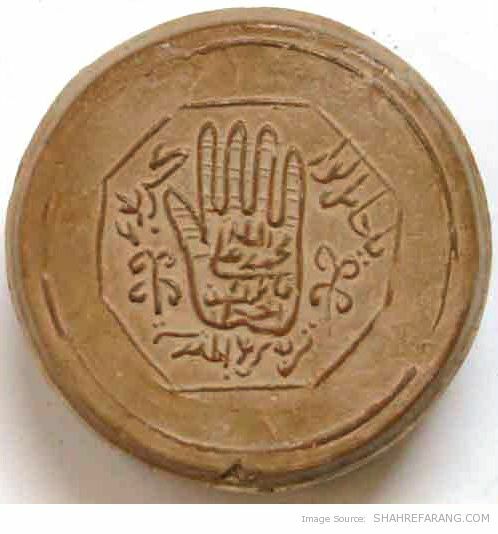 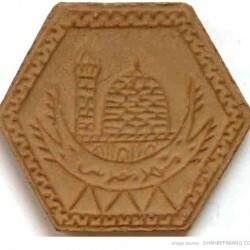 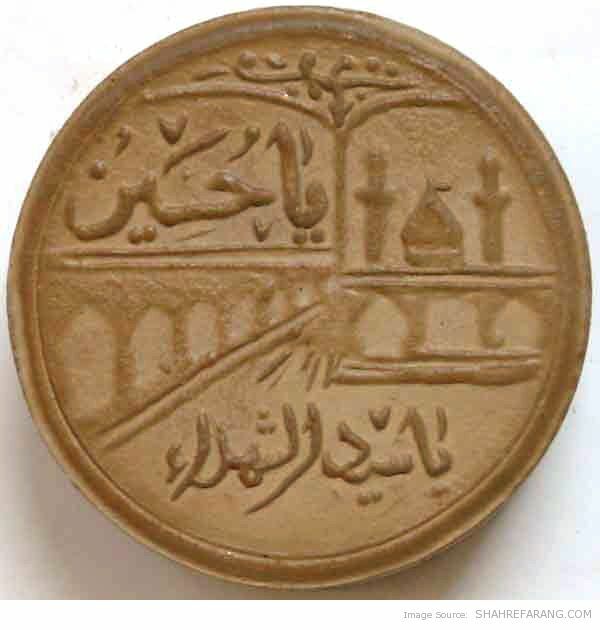 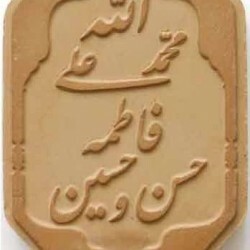 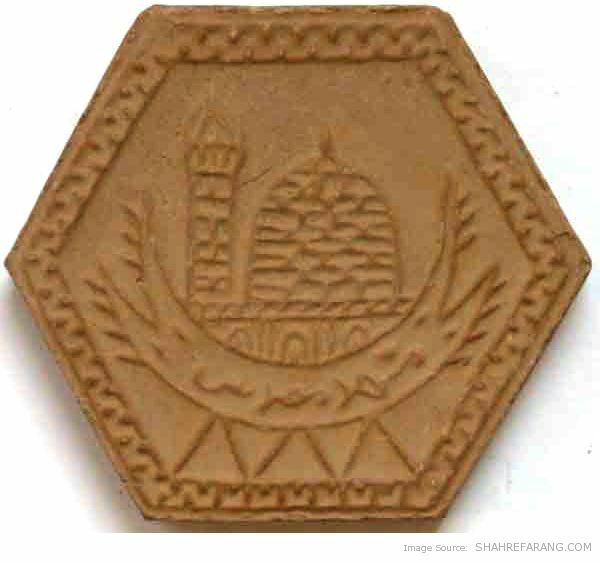 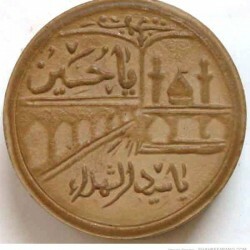 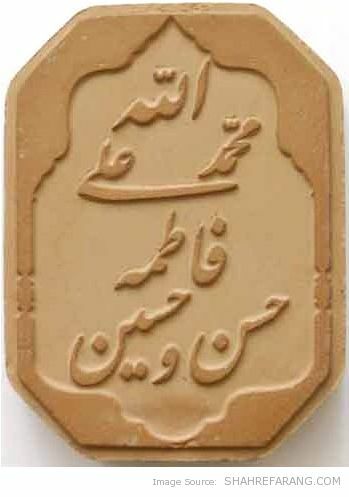 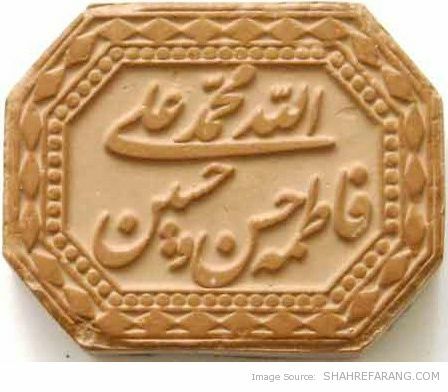 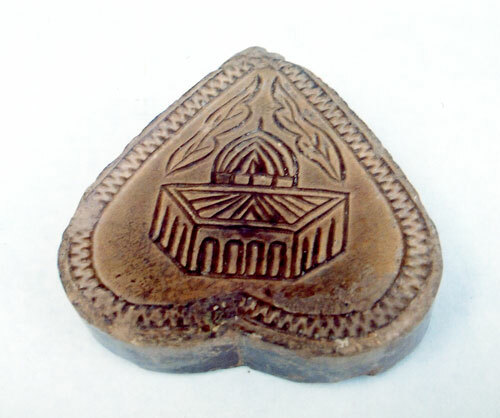 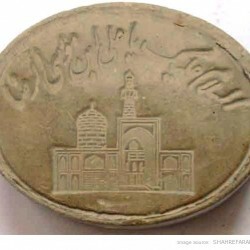 The writings on mohr often show where the clay comes from and some have the names of the Muslim saints written on them.